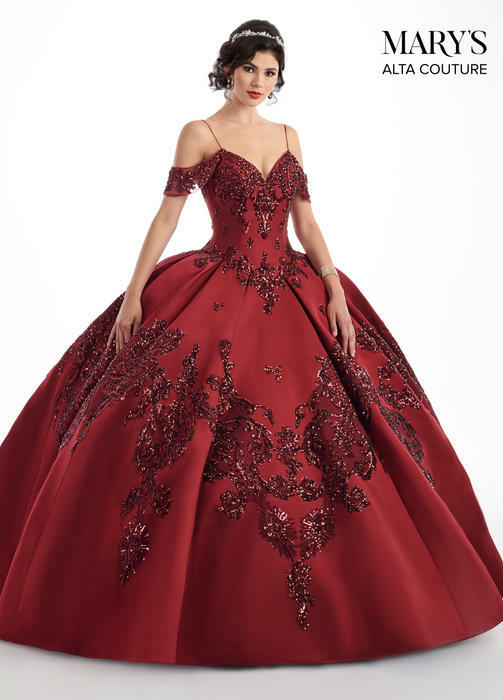 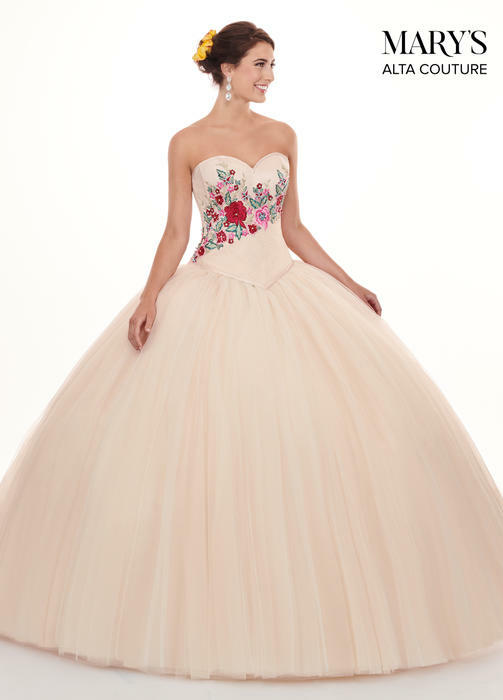 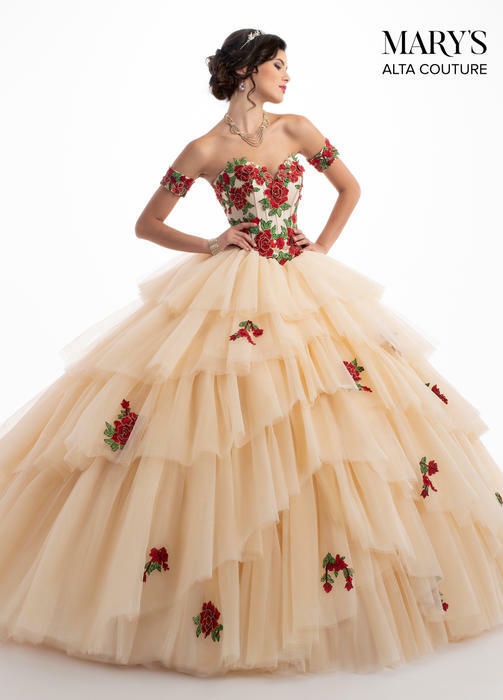 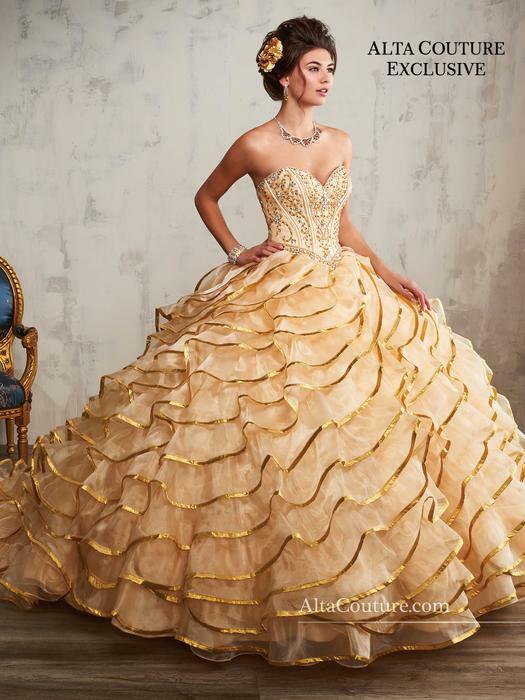 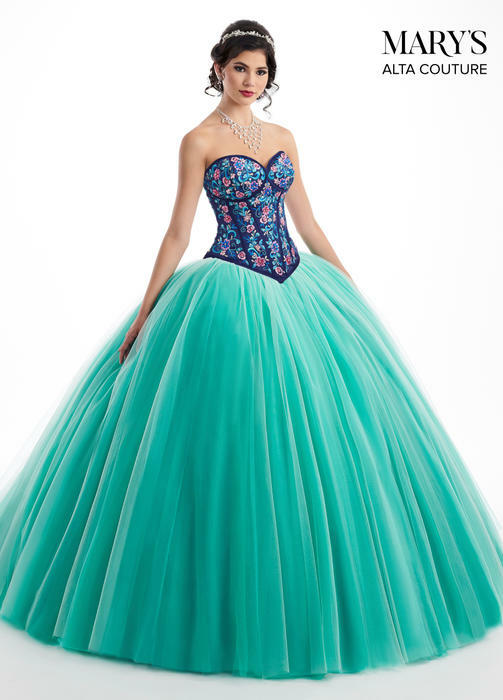 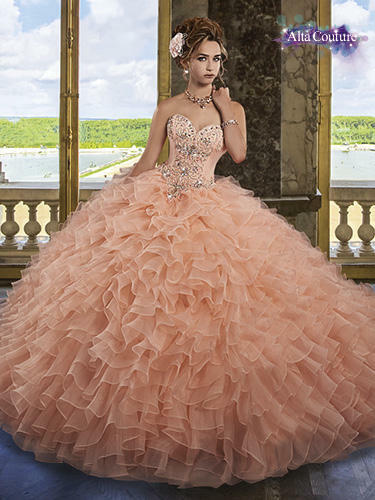 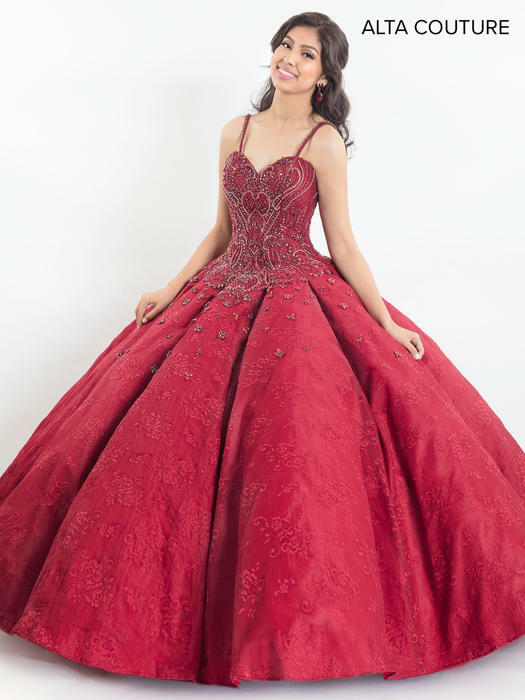 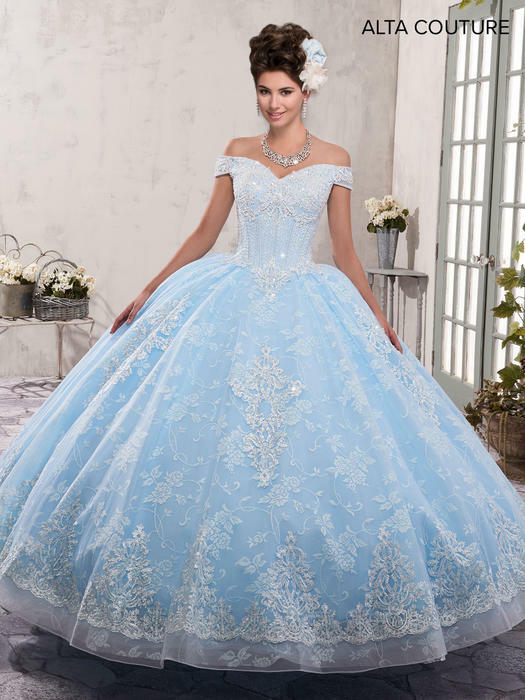 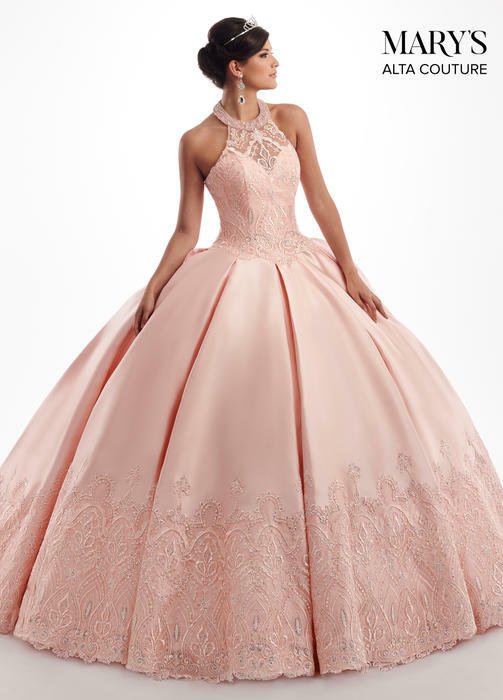 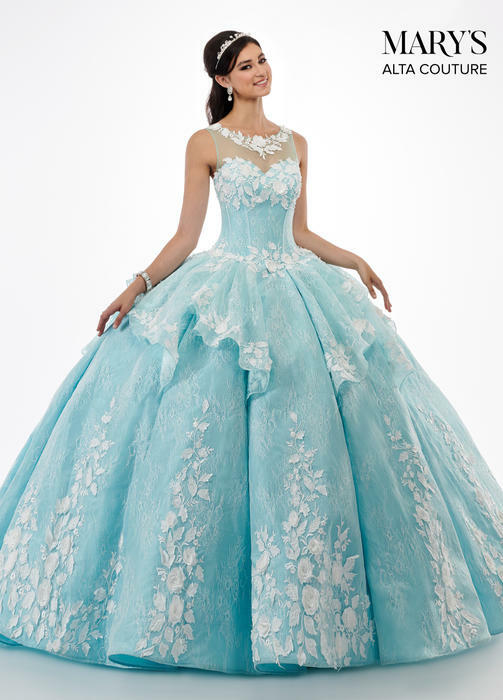 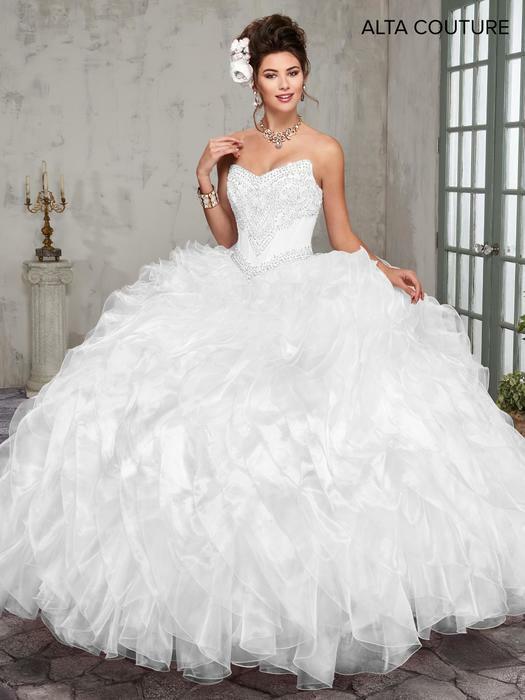 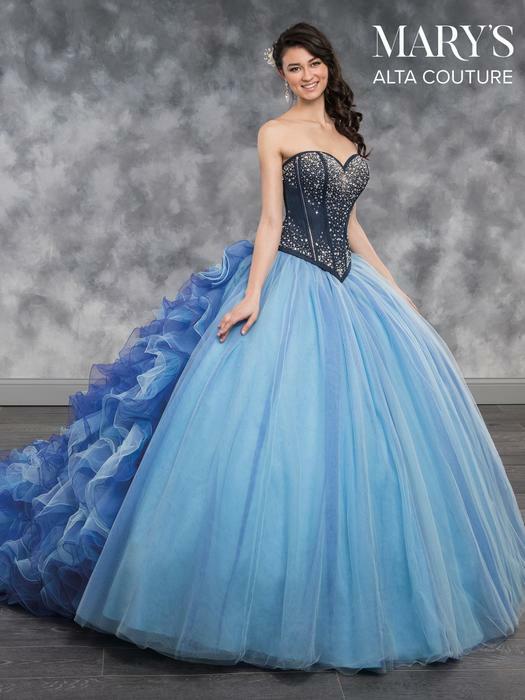 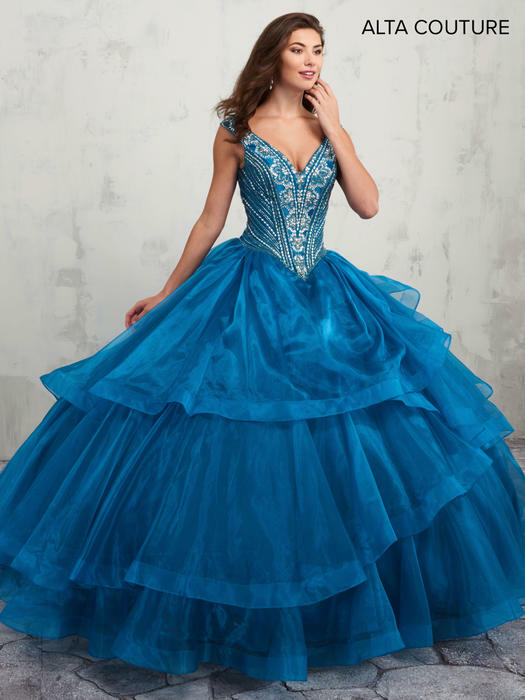 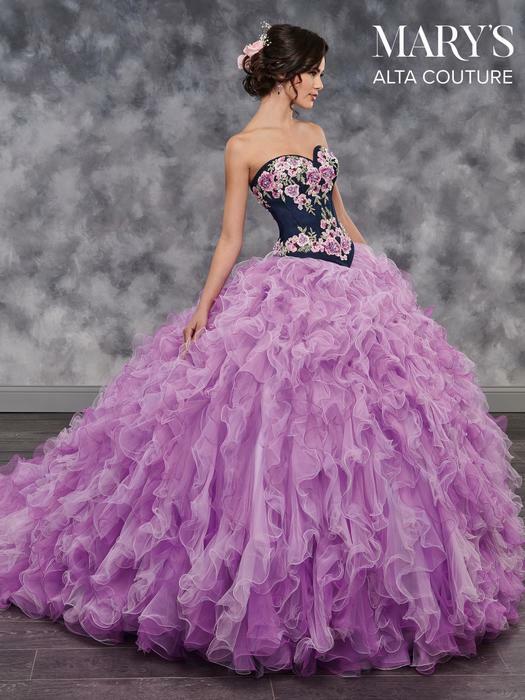 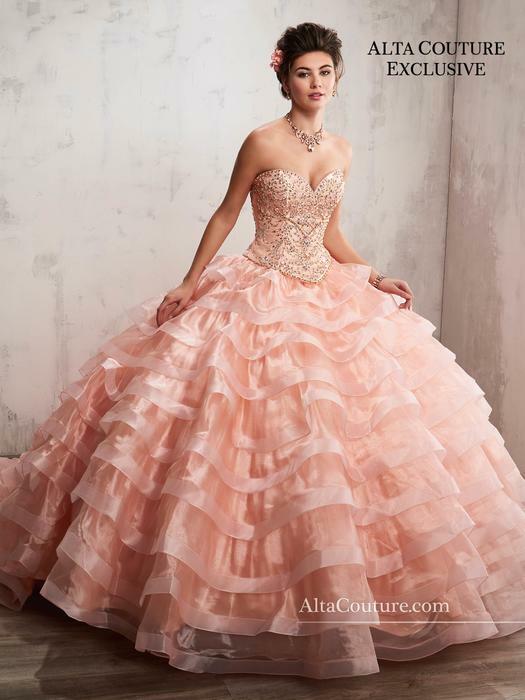 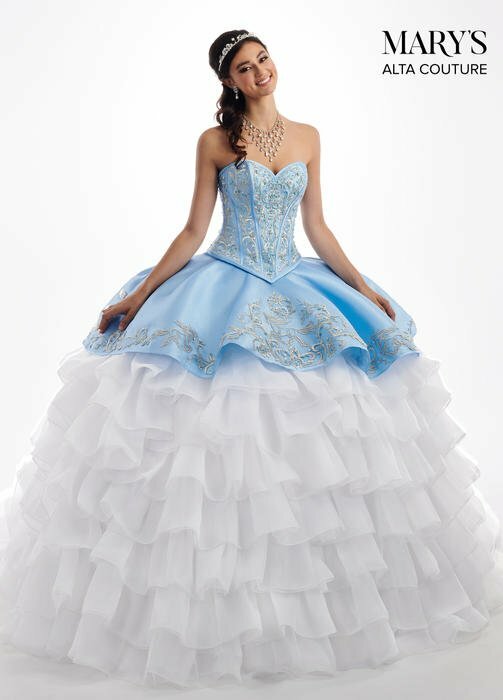 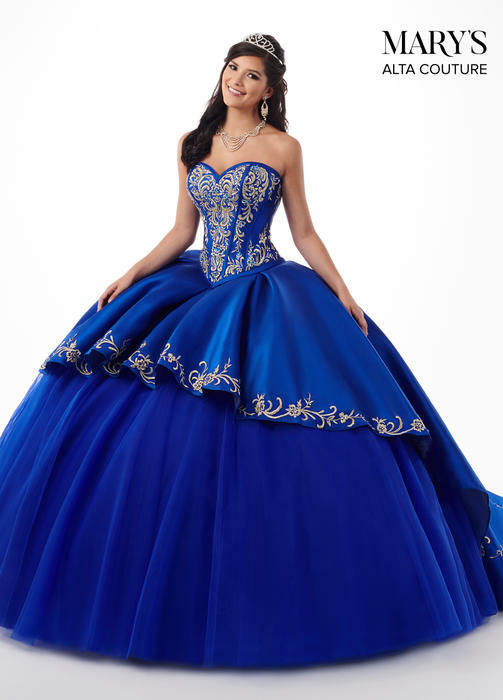 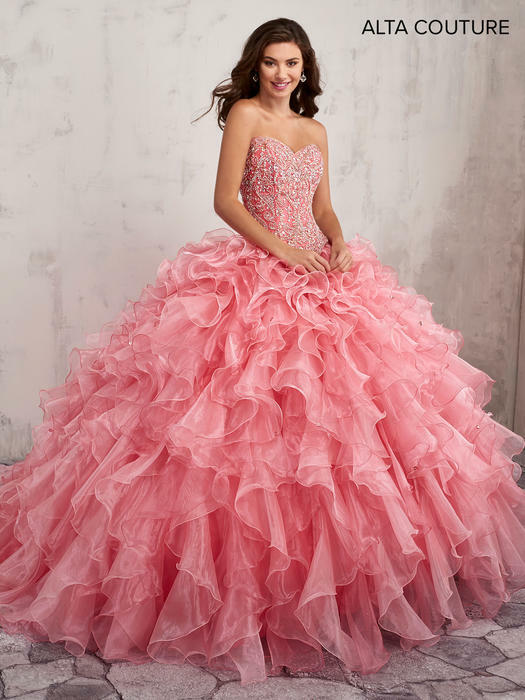 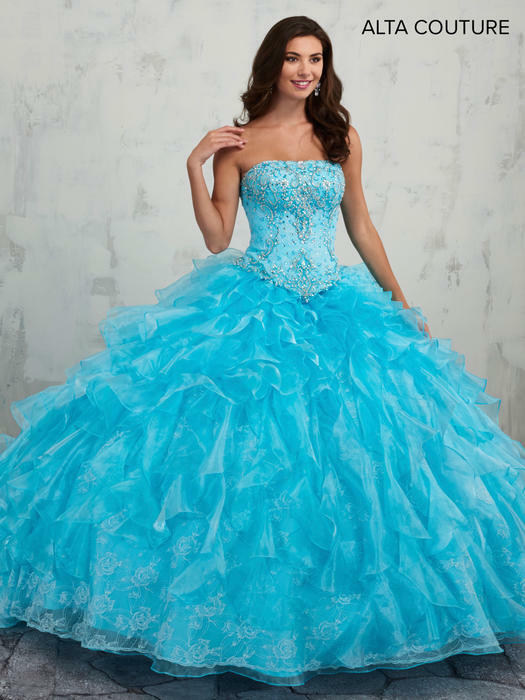 Looking for a princess dress for your Quinceanera? 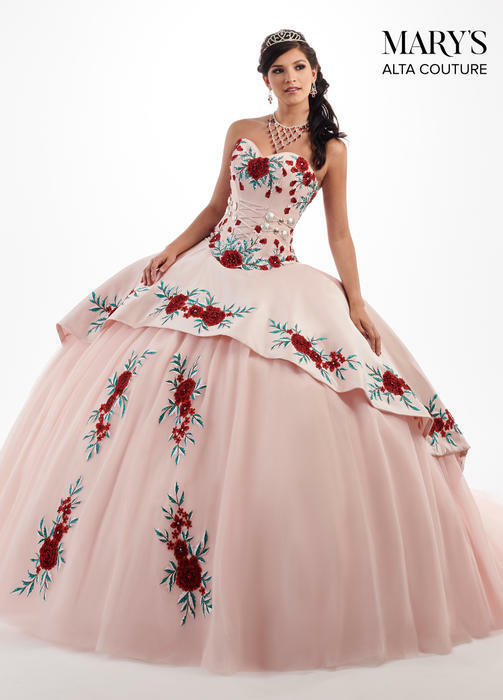 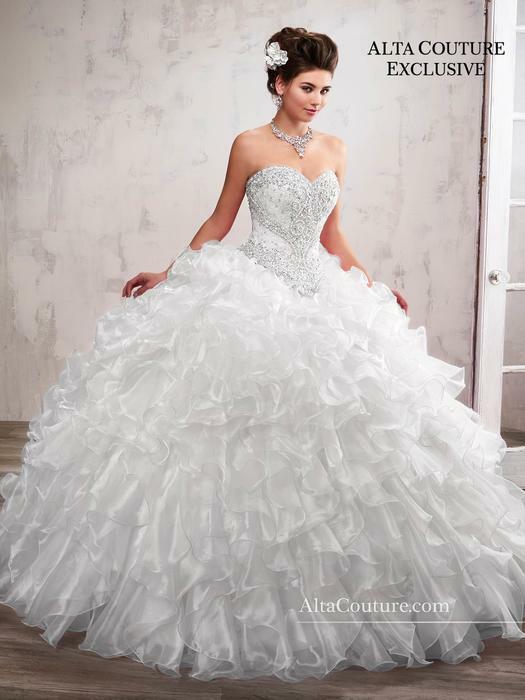 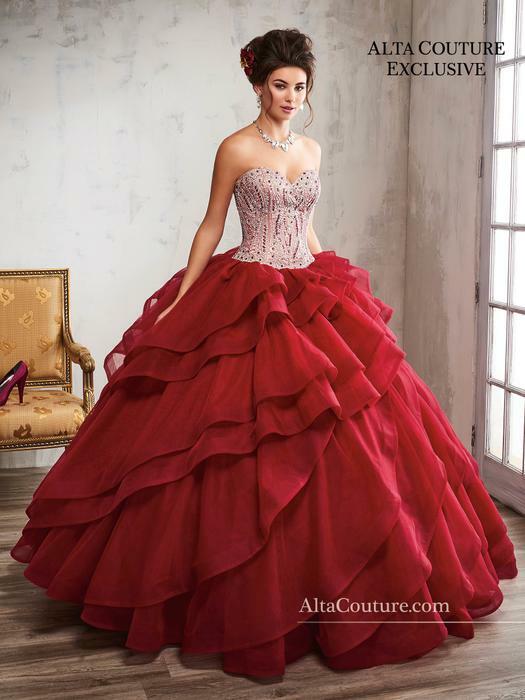 Alta Couture Quinceanera by Mary's Bridal are designer Quinceanera dresses crafted to make you look like a princess on your big day! 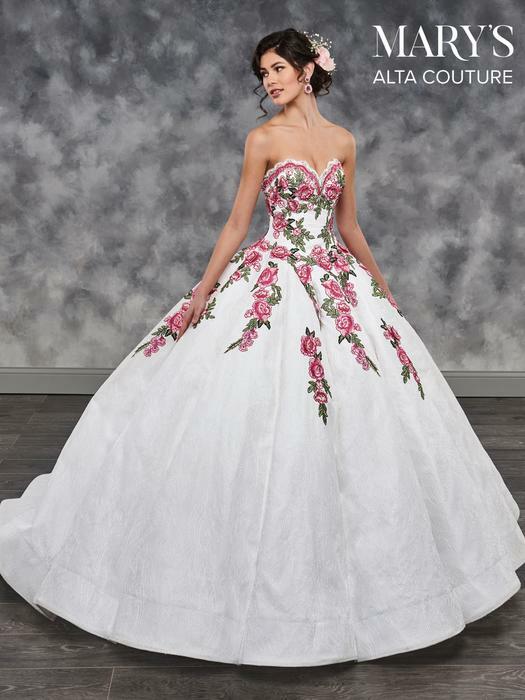 Featuring feature beaded bodices, strapless sweetheart necklines, rosette ruffle skirt with chapel train, tulle skirts, denim sweetheart corset tops mini skirt, and bolero jackets, we have the Quince gown for you!